Colonial powers brought with them daunting philosophical, theological, naval and mercantile traditions they used to justify occupation and control. Separating public from private, particular from universal, human from divine, family from state, and male from female realms of experience and action forms a crucial aspect of these traditions (see Nationalism, Hegemony in Gramsci). In Western philosophical and political traditions the public realm of the polis, state, city, or republic becomes the site where people consent to or contest the laws, contracts, covenants, or principles of community that govern personal and social conduct. For Aristotle, man is “by nature an animal intended to live in a polis” (Baker, 1962, p. 4). The private realm, defined by the hearth and home remains the loci of family, comfort, and individual identity. The family as the primary and immediate unit of society forms the training ground for conduct, nature, and morality. The public realm of the polis and the spiritual realm of the family come with particular inhabitants. While the public realm has been the domain of the Western male subject, the private realm belongs to the wife, daughter, mother, sister who are responsible for the passing down of traditions (such as honoring the dead), maintaining the sacred flame of the domestic altar, and the healthy upbringing of children. Men also functioned as fathers, sons, husbands, and brothers within the family but did not take these roles with them into public life where history, community, and state demanded mutual recognition and progress toward what were defined as rational and universal goals. Crucial to the relegation of different realms to men and women were notions of the inherent characteristics of men and women. Men, under this paradigm, embody rationality, thought, non-feeling, justice, critical judgment, objectivity, sternness, individuality, and propensity for violence and acquisition. Women, by contrast, supposedly embody feeling, fickleness, cunning, purity, subjectivity, spirituality, possessiveness, delicacy, virtue, dependence, sensuousness, and unbrazened sexuality. The contradictory nature of these qualities reinforced the unity and rationality of the male while at the same time proving the fickleness and fragmentation of the female and hence her ‘natural’ unfitness for public life. For Aristotle, the citizens are the “integral parts” of the polis while women, children, slaves, mechanics and laborers are the “necessary conditions” (Baker, p. 108) (see Third World and Third World Women, Chicana feminism). With the disjunction of public and private, male and female, the family becomes inherently naturalized, depoliticised, and dehistoricised. The heterosexual legal and moral union establishes itself as prior to history, as history ostensibly only happens when men leave the home, as well as outside of history. Heterosexuality, the social, economic, and political reasons for the legal institution of marriage, and the moral status assigned to this union are not the subject of historical scrutiny and are not open to the possibility of change or dismantling. In addition to history, the separation between public and private has an impact on morality. 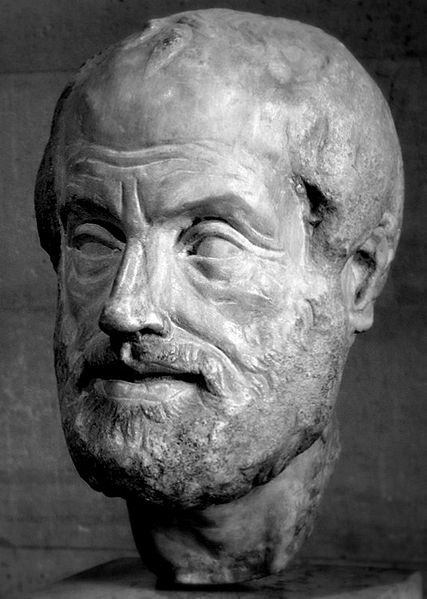 For Aristotle, the polis is the highest good, “the final and perfect association.” Citizenship alone does not grant moral goodness but is attained through reason and participation. (see Representation). The particular position of women and children in the household enabled them to share in the goodness but not to attain or acquire it. For Hegel, the natural differentiation of the sexes translates into an ethical differentiation. In the mere “natural existence” of the family, women remain the “object” of male desire which “overreaches” their ability for rational, self-conscious individuality through active participation in the ethical order, manifested in the “actuality” of the state. They are thus for Aristotle the “naturally ruled” (Baker, p. 34). The separation of the public as political realm and private as apolitical with the greater public association being in the polis and the lesser private association being in the family resonates in the works of western scholars such as Rousseau, Adam Smith, Kant, Locke, Hume, Nietzsche, and Hegel. While Machiavelli explicitly separates morality from public life and focuses on power, Hegel grants divine law to women and the family while human law belongs to the rational state. In colonial and postcolonial contexts, the public and private realms took on a different shape. The expansion of European modern states imperial regimes transformed the scope of the public sphere. The Western male subject, fashioned on principles of “moral goodness,” (Aristotle) and “rational self-conscious individuality” (Hegel) faced a contradiction: How to justify slavery, oppression and exploitation of native men in the colonies who as men were rational, individual, and superior to women and hence were equally deserving of freedom and dignity? At this juncture the categories of male and female become racially marked and the public and private realms are reconfigured in terms of the colonial and nationalist projects (see Myths of Natives). This reconfiguration involved the simultaneous effeminisation and hypersexualisation of Hindu Bengali men by British colonizers in an effort to naturalize British patriarchy (see Orientalism). By drawing a parallel between the characteristics of British women and Bengali men, both were deemed incapable of public, political participation (Chatterjee, 1993, p. 35-157; Sinha, 1995, p. 33-68).The status of Indian women in Indian tradition served as the key issue in this process of effeminisation. In response, Indian nationalists, many of whom had received western education, accepted the superiority of the West in the public sphere of rationality, progress, impersonal bureaucracy, and modernization but maintained their cultural superiority in the private, spiritual sphere, traditionally the domain of Indian women. For Partha Chatterjee, the Indian nationalist project involved “an ideological justification for the selective appropriation of western modernity,” a process that continues even today. By focusing on practices such as sati, arranged marriages and purdah, colonization involved “assuming sympathy with the unfree and oppressed womanhood of India, [through which] the colonial mind was able to transform this figure of the Indian woman into a sign of the inherently oppressive and unfree nature of the entire cultural tradition of a country” (p. 118). The nationalists sought a specific site of resistance for Indian cultural identity while at the same time fighting for an independent nationstate. The constituted dichotomy of the world/home or the spiritual/material lay at the heart of this nationalist project. orderliness, thrift, cleanliness, and a personal sense of responsibility, the practical skills of literacy, accounting, hygiene, and the ability to run the household according to new physical and economic conditions set by the outside world. For this she would also need to have some idea of the world outside the home, into which she could even venture as long as it did not threaten her femininity. It is this latter criterion, now invested with a characteristically nationalist content, that made possible the displacement of boundaries of the home from the physical confines earlier defined by purdah to a more flexible, but nonetheless culturally determinate, domain set by differences between socially approved male and female conduct (Representation). Once the essential femininity of women was fixed in terms of certain culturally visible spiritual qualities, they could go to schools, travel in public conveyances, watch public entertainment programs, and in time even take up public employment outside the home (p. 130, emphasis original). her superiority over the Western woman for whom, it was believed education meant only the acquisition of material skills to compete with men in the outside world and hence a loss of feminine (spiritual) virtues; superiority over the preceding generation of women in their own homes who had been denied the opportunity of freedom by an oppressive and degenerate social tradition and superiority over the women of the lower classes who were culturally incapable of appreciating the virtues of freedom (p. 129). In this project, the category of woman itself could not be assumed to imply a universal signification as a specific type of woman came to represent the ideal. In relation to colonial India, the “agon of decolonization” found its vocabulary through very particular constructions of Victorian and Indian womanhood. These were not articulated within the realm of history proper or as constructions mediated by the very process of differentiation, but retained the symbolic and metaphoric role of women as the “innate nature” of a nation. This inner domain of women became invested with the urgency of preserving the sanctity of national culture. Under the guise of greater freedom, the “nationalist resolution” served to elide the problematic status of women as both participants in public contestation of colonial rule as well as their traditional roles as wives and mothers, demarcated under the auspices of Hinduism as stridharma. The potential effects of an independent women’s voice were contained as a very part of the nationalist vocabulary of resistance. Baker, Ernest, ed. The Politics of Aristotle. New York: Oxford University Press, 1962. Hegel, G.W.F. Phenomenology of Spirit. trans. A.V. Miller. Oxford: Clarendon, 1977. Knox, T.M. Encyclopedia Brittanica Inc. Chicago: The University of Chicago Press, 1990. Machiavelli, Niccolo. The Prince. trans. Paul Sonnino. Atlantic Highlands: Humanities Press, 1996. Bakan, David. And They Took Themselves Wives: the Emergence of Patriarchy in Western Civilization. New York: Harper & Row, 1979. Butler, Melissa. “Early Liberal Roots of Feminism: John Locke and the Attack on Patriarchy.” American Political Science Review 72 (1978). Elshtain, Jean Bethke. The Family in Political Thought. Brighton: Harvester Press, 1982. Ezell, Margaret. The Patriarch’s Wife: Literary Evidence and the History of the Family. Chapel Hill: University of North Carolina Press, 1987. Soltan, Karol Edward and Stephen L. Elkin (eds.). The Constitution of Good Societies. University Park: Pennsylvania State University Press, 1996. Turkel, Gerald. Dividing Public and Private: Law, Politics, and Social Theory. Connecticut: Praeger, 1992. Clark, L. and L. Lange, The Sexism of Social and Political Theory: Women and Reproduction From Plato to Nietzsche. Toronto: University of Toronto Press, 1979. Hearn, Jeff. Men in the Public Eye: the Construction and Deconstruction of Public Men and Public Patriarchies. New York: Routledge, 1992. Lerner, Gerda. The Creation of Patriarchy. Oxford: Oxford University Press, 1986. O’Barr, Jean F. Ties That Bind: Essays On Mothering and Patriarchy. Deborah Pope, and Mary Wyer (eds.). Chicago: University of Chicago Press, 1990. Rothman, Barbara Katz. Recreating Motherhood: Ideology and Technology in a Patriarchal Society. New York: Norton, 1989. Trebilcot, Joyce Trebilcot (ed.). Mothering: Essays in Feminist Theory. Totowa: Rowman & Allanheld, 1983. Willet, Cynthia. Maternal Ethics and Other Slave Moralities. New York: Routledge, 1995. Brittan, Arthur. Masculinity and Power. New York: Basil Blackwell, 1989. Fargania, Sondra. The Social Reconstruction of the Feminine Character. Lanham: Rowman and Littlefield, 1995. Fausto-Sterling, A. Myths of Gender. New York: Basic Books, 1992. Lloyd, Genevieve. The Man of Reason: “Male” and “Female” in Western Philosophy. London: Routledge, 1984. Merchant, Carolyn. The Death of Nature. San Francisco: Harper and Row, 1980. Oakley, Ann. The Sociology of Housework. New York: Pantheon Books, 1976. Rich, Adrienne. Of Women Born. New York: W.W. Norton, 1976. French, Marilyn. Beyond Power: On Women, Men, and Morals. New York: Ballantine Books, 1986. Kittay, Eva and Diana Meyers. Women and Moral Theory. Lanham: Rowman and Littlefield, 1987. Manning, Rita. Speaking From the Heart: A Feminist Perspective on Ethics. Lanham: Rowman and Littlefield, 1992. Pearsall, Marilyn (ed.). Women and Values: Readings in Recent Feminist Philosophy. Belmont: Wadsworth Publishing Co., 1986. Bishop, Sharon and Marjorie Weinzweig (eds.). Philosophy and Women. Belmont: Wadsworth Publishing Co., 1979. Elshtain, Jean Bethke. Public Man and Private Woman: Women in Social and Political Thought. Princeton: Princeton University Press, 1981. Mills, Patricia J. (ed.). Feminist Interpretations of G.W.F. Hegel. University Park: Pennsylvania State University Press, 1996. Nye, Andrea. Feminist Theory and the Philosophies of Man. New York: Croom Helm, 1988. Okin, Susan Moller. Women in Western Political Thought. Princeton: Princeton University Press, 1979. Pateman, Carole. The Disorder of Women: Democracy, Feminism, and Political Theory. Stanford: Stanford University Press, 1989. Pateman, Carole. “Feminist Critiques of the Public/Private Dichotomy.” Public and Private in Social Life. S.J.Benn and G.F. Gauss (eds.). New York: St. Martin’s Press, 1983. Tuana, Nancy and Rosemarie Tong (ed.). Feminism and Philosophy: Essential Readings in Theory, Reinterpretation, and Application. Boulder: Westview Press, 1995. Ward, Julie. Feminism and Ancient Philosophy. New York: Routledge, 1996. Chakravarti, Sitansu. Hinduism, A Way of Life. Delhi: Motilal Banarasidass Publishers, 1991. Jacobson, Doranne and Susan Wadley. Women in India: Two Perspectives. Columbia: South Asia Publications, 1992. Leslie, Julia. The Perfect Wife: The Orthodox Hindu Women According to the Stridharmapaddhati of Tryambakayajvan. New Delhi: Oxford University Press, 1989. Callan, Hillary and Shirley Ardner (eds.). The Incorporated Wife. London: Croom Helm, 1984. Douglas, Mary. Purity and Danger. London: Routledge & Kegan Paul, 1966. Etienne, Mona and Eleanor Leacock (eds.). Women and Colonization. New York: Praeger, 1980. Fanon, Frantz. The Wretched of the Earth. London: Penguin, 1963. Black Skin, White Masks . trans. Charles Lam Markmann. London: Pluto Press, 1986. A Dying Colonialism. trans. Haakon Chevalier. New York: Grove Press, 1965. Foley, Timothy P. (ed.). Gender and Colonialism. Galway: Galway University Press, 1995. McClintock, Ann. Imperial Leather: Race, Gender and Sexuality in the Colonial Contest. New York: Routledge, 1995. Sinha, Mrinalini. Colonial Masculinity: The ‘Manly Englishman’ and the ‘Effeminate Bengali’ in the Late Nineteenth Century. Manchester: Manchester University Press, 1995. Stoler, Laura, “Carnal Knowledge and Imperial Power: Gender, Race, and Morality in Colonial Asia.” Micaela di Leonardo (ed.). Gender and the Crossroads of Knowledge: Feminist Anthropology in the Postmodern Era . Berkeley: University of California Press, 1991. Chaudhari, Nupur and Margaret Strobel (eds.). Western Women and Imperialism: Complicity and Resistance. Bloomington: Indiana University Press, 1992. Harasym, Sarah (ed.). The Postcolonial Critic: Interviews, Strategies, Dialogues. New York: Routledge, 1990. Mani, Lata. “Multiple Mediations: Feminist Scholarship in the Age of Multinational Reception.” Feminist Review No. 35 (Summer 1990). Mohanty, Chandra Talpade, “Under Western Eyes: Feminist Scholarship and Colonial Discourses.” Chandra Talpade Mohanty, Ann Russo, and Lourdes Torres (eds.). Third World Women and the Politics of Feminism. Bloomington: Indiana University Press, 1991. Mohanty, Chandra Talpade and Jacqui Alexander (eds. ), Feminist Genealogies, Colonial Legacies, Democratic Futures. New York: Routledge, 1997. Spivak, Gayatri. “French Feminism in an International Frame.” In Other Worlds: Essays in Cultural Politics. New York: Methuen, 1987. “Feminism and the Critique of Colonial Discourse.” Inscriptions 3/4 (1988). “Can the Subaltern Speak?.” Cary Nelson and Lawrence Grossberg (eds.). Marxism and the Interpretation of Culture. Urbana: University of Illinois Press, 1988. Enloe, Cynthia. Bananas, Beaches, and Bases: Making Feminist Sense of International Politics. Berkeley: University of California Press, 1989. Kandiyoti, Deniz. “Identity and Its Discontents: Women and the Nation.” Millenium: Journal of International Studies 20, 3 (1991). Yuval-Davis, Nira and Floya Anthias (ed.). Women-Nation-State. London: Macmillan, 1989.